Today is cold. It’s snowing. The outside world is monochromatic and drab. 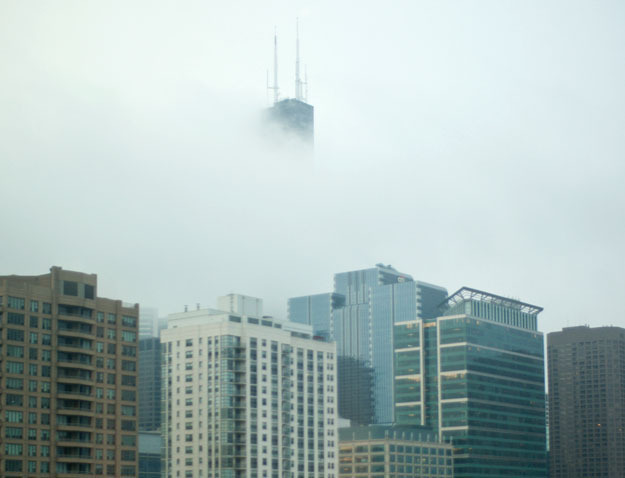 Just beyond my window, Chicago’s iconic Sears Tower is mostly hidden — tucked behind nature’s overcast curtain. 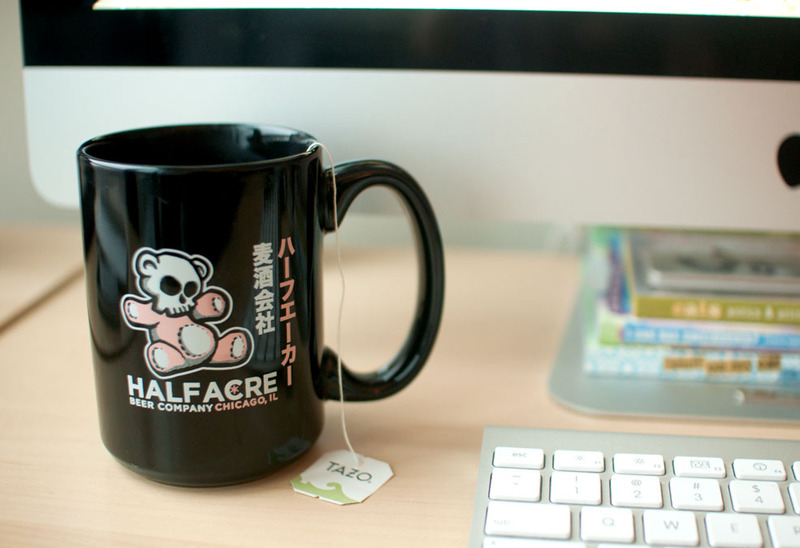 Inside, I sit with a mug of tea (a craft beer mug, of course), hoping it’ll a) help chase away the cold I’ve been battling and b) keep me warm. And this time of year, in the midwest anyway, we’re always looking for something warm — something to help us forget that we’re in the midst of a four-or-so month stretch of less-than-ideal weather. And ginger is just the thing. It takes you away to somewhere far more tropical, and it has just the right amount of spicy kick. And not only is it great in food, but it’s awesome in drinks, too. I’ve always loved ginger tea and ginger ale, but I recently began playing around with other things gingery. Homemade ginger syrup, specifically. It’s so easy to make and can be used a hundred different ways — below are a few of my favorites. But let’s start with the basic syrup. Combine water and sugar in a medium saucepan and bring to a simmer over medium heat, stirring occasionally with a whisk to help the sugar dissolve. Add the ginger and allow to simmer for 10 minutes. Remove pan from heat and let the ginger steep for a few hours (or overnight). Strain ginger syrup through a sieve lined with cheesecloth to remove all the ginger and the little bits left behind. Store in the refrigerator in an airtight container. OK, you’ve got your syrup. So now what? Ginger ale seems like an obvious choice. 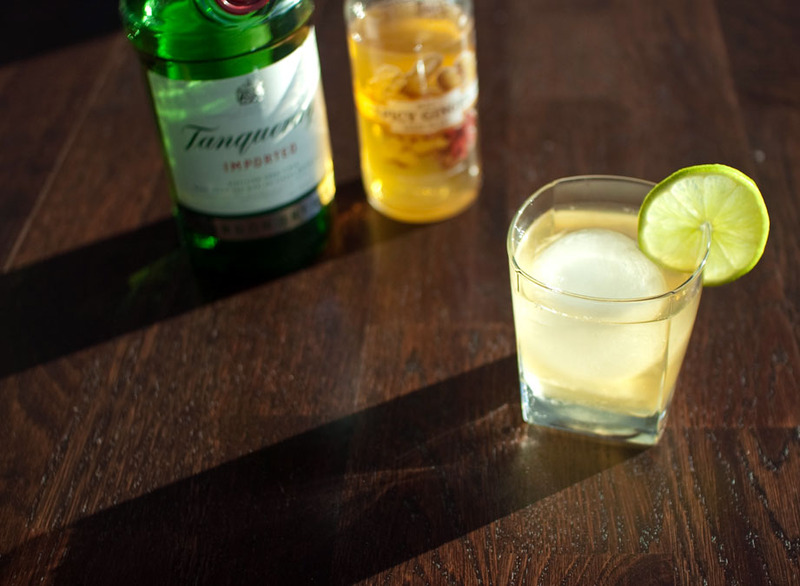 For each drink, fill a 12-ounce glass with ice, add homemade ginger syrup, lime juice and bitters. Top with seltzer water and a slice of lime. Fill a highball glass with ice (or a large “whiskey ice,” which is what I used) and rim the edge of the glass with lime. Combine all ingredients in a cocktail shaker filled with ice. Shake firmly a few times, then strain into your glass. Garnish with a slice of lime. You didn’t think I’d leave out whiskey, did you? Anyone whose been following this blog knows that I’m a big whiskey fan, and I’m always up for a good old fashioned. In fact, last year I took a class so I could learn how to make them at home. I blogged about that class here, and those learnings helped influence this next cocktail — the Ginger Old Fashioned. *Not all bitters come with droppers. If using bottled bitters, one dropper equals about 7 drops. Follow the instructions listed here, but swap the homemade ginger syrup in place of the demerara simple syrup*, and the Jamaican #2 bitters in place of the orange bitters. *The Perfect Old Fashioned recipe calls for 1/4 ounce of simple syrup, but I like using more here to let the ginger flavor really comes through. Part of the fun of simple syrups is experimenting, and I’m always up for suggestions and ideas. 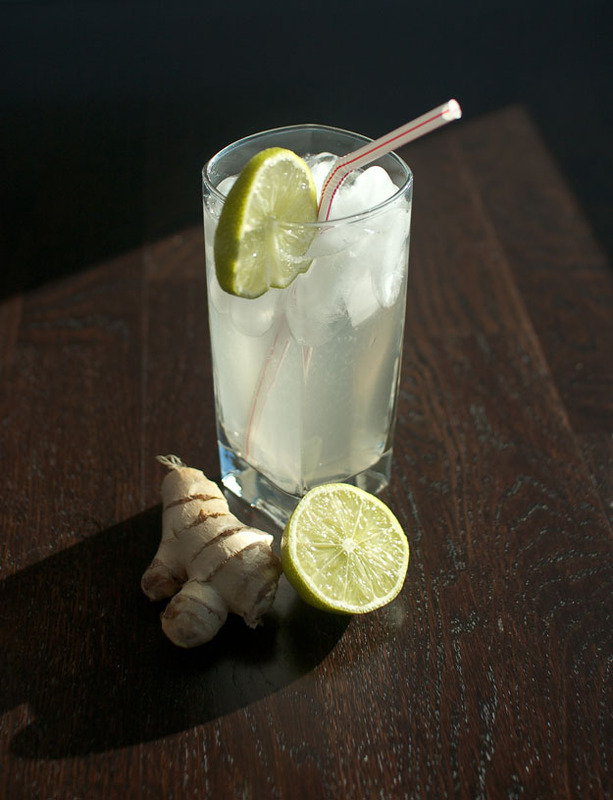 What are your favorite gingery foods and drinks? Feel free to share some inspiration below. Definitely thirsty now! The Triple GINger sounds killer. Love ginger but hate peeling/slicing it. Do you have any tips? I’m not sure if that’s the proper way, but that’s how I’ve always done it. Got it. Super helpful tip. Thanks! My mom, who is from Hawaii, smashes ginger with the bottom of a heavy glass (kind of like you do with garlic and a knife) to help with the peeling. If I’m needing to grate the ginger, I don’t bother peeling it. I just cut off a bit of a skin to expose the flesh and start grating. Works especially well with a microplane. Great post, Bobbi! Happy New Year! Good tip! I hadn’t thought of that. I love love (love) gin so this GINger drink is right up my alley. Fresh ginger is awesome. I hope you like it! I’m actually so-so about gin, but gin and ginger really works. 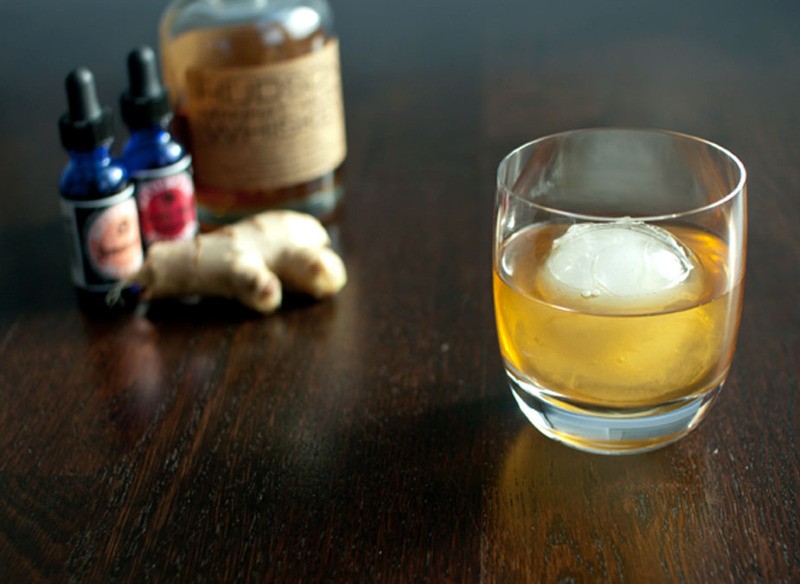 I love the spicy heat of fresh ginger, that Ginger Old Fashioned is calling my name. Oh I love ginger ale! Never made it at home, so now I really want to try your recipe! Only recently I have ordered a “winter tea” in a local cafe… It cointained honey, lemon and ginger. Plus, it made me feel sooo cosy! This one shall be similar, I guess. I love your blog by the way. Can’t wait to try out some of the recipes! I love fresh ginger in almost anything. You should try putting a one-inch piece of ginger in a cup and steeping it in hot water — so good. It’s pretty readily available in most grocery stores here in Chicago — hopefully you can find it near you.